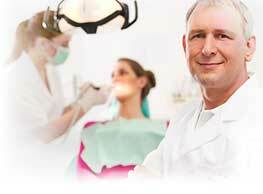 Dental implants problems occurs when there is bacterium in the implant region. Dental implants are most successful surgical procedure which is having a success rate of 95 % for a period of five years. As cutting edge technologies in medical practise have been made use of dental implants there are no chances for the occurrence of any mishap in this procedure. But however there can be discomfort and pain for two or three days. This can be controlled by taking pain killers. In some cases secondary infection may take place which may result in swelling and pain for a week. Excessive bleeding, swelling, infection etc which are possible risk factors in every surgical procedure can cause problems in dental implants also. Implant will not be accepted by the body in the case of heavy smokers and in some other cases also. In such cases, the channel created for the implant heals slowly and closes completely.